Our meetings take place every Tuesday at 6 pm. in room 242. The meeting is public and all students of our faculty have a vote. Reports of past meetings can be found here. We are the Computer Science and Mathematics student committee - short: FSinfo. We represent the interests of students of our faculty, are in contact with teaching and research assistants, professors and university executive. We also participate in many bodies such as the Extended University Executive, Faculty Board and Student Parliament. We advocate for useful application of study subsidies, longer opening hours for university libraries, cafés and canteen, better WiFi, creation of additional work and study rooms for students and financial assistance for university groups. Get to know us in the orientation week just before the lectures start. This week offers a broad range of events such as welcome ceremony, information meeting, campus rally, visiting the canteen and bar-hopping. These events should answer your first questions, allow you an easy shift from school to university and let you explore the campus and our faculty. It is important for us that our freshmen have a reference person from the beginning and get to know their future fellow students. If there are any questions or problems, we are on hand with help and advice for you, not only in the orientation week but rather your entire student days. No matter whether its about overlapping lectures or examination rules - we will be pleased to help you! We organize many events - some of them already reached cult status in Passau. This includes our legendary faculty bash, which has taken place in the IM building for one decade. This changed due to construction measures on the building, so we started cooperating with the student committee of the Faculty of Arts and Humanities and launched a new campus bash called "Tussi meets Nerd". Additionally we offer a barbecue for students and lecturers of our faculty on the meadow next to the IM building every summer semester. 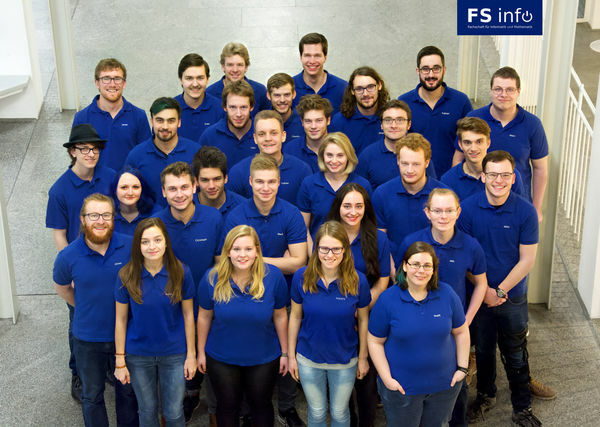 Every faculty of the University of Passau has an own student committee, which consists of students of the respective faculty. Their structure is determined through university elections every year. Not only elected members are part of the student committees. Every semester some of the members leave the university and also the student committee because they finished their study. Therefore all students are welcome to join the committee. Beside the enjoyment of diverse events it is possible to help us organizing and learn a lot in doing so. If you want to get to know us, please do not hesitate to contact us personally, join our weekly meetings or just visit our office in room 244 (IM) - we are looking forward to meeting you! As we are a team of volunteers we don't have any fixed opening hours, but you can find us most probably during the usual lecture times. Whether we are open or not, you can see via the "open/closed"-sign on the left of the page as well as at the stairs in the FIM foyer. On the Internet we are also reachable mail (fsinfo@fim.uni-passau.de) and at most social networks (Facebook, Google+ and Twitter).